Buy Young Forever online - TVC Skyshop - Buy world-class innovative products at affordable prices offering full value for money. YOUNG FOREVER’s five-pronged action cleanses, nourishes, protects, rejuvenates your skin and eliminates dark circles.Graceful ageing is a rarity nowadays, but not when you go through the tips for anti aging and take rightdecision at right time. Healthy skin speaks volumes about you and your lifestyle and who knows it better than the ones who possess it. To reverse skin aging, one needs to take a holistic approach. 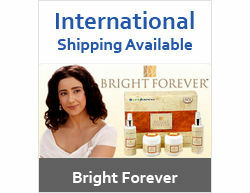 Young Forever has been formulated to be your complete natural skin care guide. TVC’s Young Forever fights aging & wrinkles by increasing blood circulation and stimulating collagen formulation naturally, thus helping in repairing damaged cells. Young Forever is a scientific product tailor-made to arrest ageing, remove wrinkles and ensure younger looking skin. Its unique 5-pronged action cleanses, nourishes, rejuvenates, protects and eliminates dark circles. The face wash products you get in the market are too harsh on the skin and damage natural protective layer. They leave the skin prone to irritation and infection and strip its natural acid mantle (pH balance) that acts as a protective barrier. Young Forever Face Cleanser, unlike other common cleansers, is being developed to keep skin lively while ensuring that excess sebum (oil), pollutants, dirt and unwanted particles are removed. It is a smooth gel that spreads easily while foaming when added with water during wash. Only a dab is required to achieve desired results. An unhealthy environment along with stress leads to faster aging of skin and causes the skin cells to die prematurely. Unnatural accumulation of dead cells on the skin makes it look dull. These dead cells need to be removed from the skin in order to look young. Young Forever Face Pack with Real Pearl guards you from such developments and helps you retain a flawless skin. It fights free radicals, removes impurities, dirt, pollutants and nourishes the skin. This vitality pack contains natural pearl, kaolin and other emollients, oils and botanical extracts. It boosts your skin's moisture content, provides maximum nutrition, nourishment and antioxidants to fight the effects of aging. Pollution and environmental stressors like UVA & UVB (harmful sun rays), air-conditioning and temperature variation influence the supple and smooth skin. Young Forever Protection & Nourishment gel with natural Sun Protection Factor (SPF) ensures that your skin stays well moisturized, protected and hydrated.Young Forever Protection and Nourishment Gel contains anti-oxidants to neutralize any oxidative stress caused by free radicals, be it from external stressors, lifestyle or from normal cell metabolism. It actively reverses the signs of aging, gifting you a younger and fresher complexion.The natural vitamins in Young Forever Protection and Nourishment Gel accelerate cell renewal providing proper circulation and nourishment, while stimulating the fibroblast and collagen production. The active ingredients in Young Forever Night Repair Formula are chosen to supply the skin with the required nutrition. Although, it is a rich and nourishing formula, it comes with light texture penetrating the skin immediately - leaving your skin feeling smooth and lovable. The damage sustained in the skin around the eyes can manifest itself as fine lines and wrinkles, also known as crow’s feet, as well as dark circles and puffiness. Young Forever Dark Circle Eliminator moisturizes and provides essential nutrients to the delicate skin around eyes.Young Forever uses ingredients that work naturally with the body. Young Forever fights aging & wrinkles by increasing the blood circulation and stimulating the collagen formulation naturally thus repairing damaged cells. It nourishes, restores and strengthens the skin and keeps it healthy. A healthy skin is the first line of defense for a healthy body.